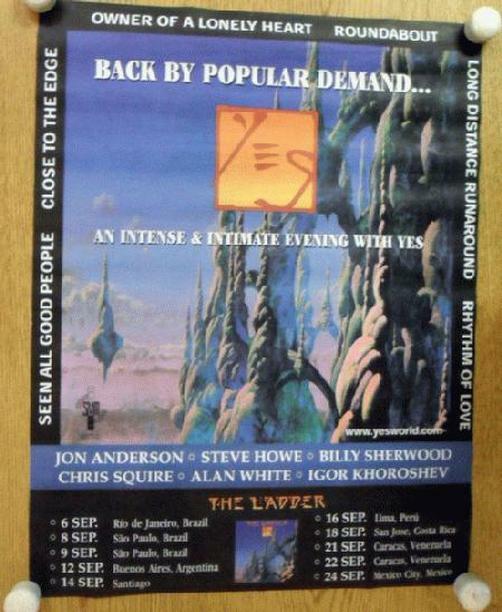 Original concert poster for Yes South America tour in 1999. 16.5 x 21.5 inches on matte thin paper. Light handling marks and edge wear.